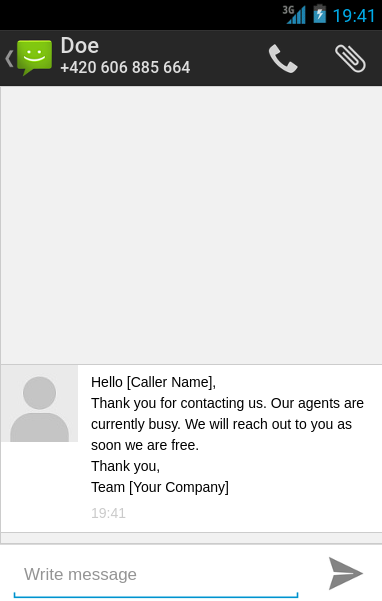 Send automated SMS to callers, Emails to yourself or, use webhooks to get call details. 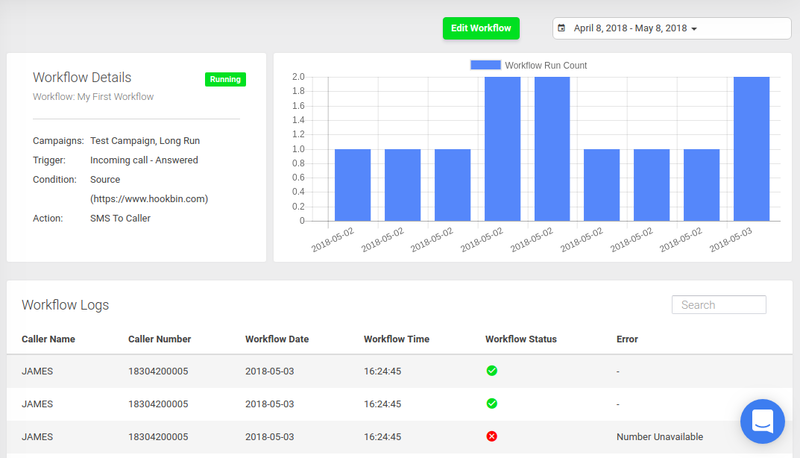 Workflow is a system for setting up, performing, and monitoring of a defined sequence of processes and tasks, with the broad goals of increasing productivity, reducing costs, becoming more agile, and improving information exchange within an organization. Workflows can be integrated with existing campaigns to better capture lead. Basically, workflows integrate with your campaigns in such a way that whenever you receive a call your workflow is triggered (if the condition you mentioned in the workflow matches with that of the call) and the mentioned action is executed. Workflows work in a manner of triggers and action. Like, when you create a workflow you have to select a trigger condition which will trigger your workflow these triggers can either be "Incoming call -Answered" or "Incoming call-Missed". Then, aftre trigger you have to select your condition like, when should this workflow actualy execute and conditons can either be "call duration", "caller frequency" or, "Source". After condition the final step is to select the action like, you can either send SMS to your caller, send an Email to yourself or, trigger a webhook. Let's understand Workflows better with an example. Suppose you've created a workflow with the trigger "Incoming call -Answered" with the condition that the "call duration" should be more than 10 seconds and finally you want us to send an SMS for the same. So, next time you receive a call and that call happens to be answered and last more than 10 seconds then a SMS will be send to the caller as soon as the call ends and moreover you check the logs for your workflows as when the workflows were triggered and other details. You can send an SMS to your caller as soon as the call ends or if your agents are busy right now. You can get more detals about the SMS workflow. You can get notified about the call as soon as your call ends on your email with all the call details. You can get more detals about the Email workflow. You can set-up a webhook so that as soon as the call ends the webhook is triggered and all the call details sent to the mentioned URL. You can get more detals about the Webhook workflow.